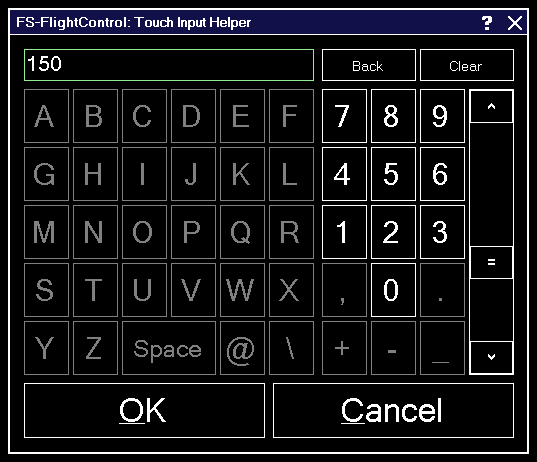 The touch input helper dialog enables you to easily work with FS-FlightControl also with a touch-enabled monitor or tablet device without any keyboard or mouse involved. By default the touch input helper is enabled and will pop-up whenever you click or touch in an input field. If you should not like or need this, you can easily disable it in the Settings module. Note: While the Android or iOS app is connected the touch input helper gets activated automatically independent of your settings.